Hi there! 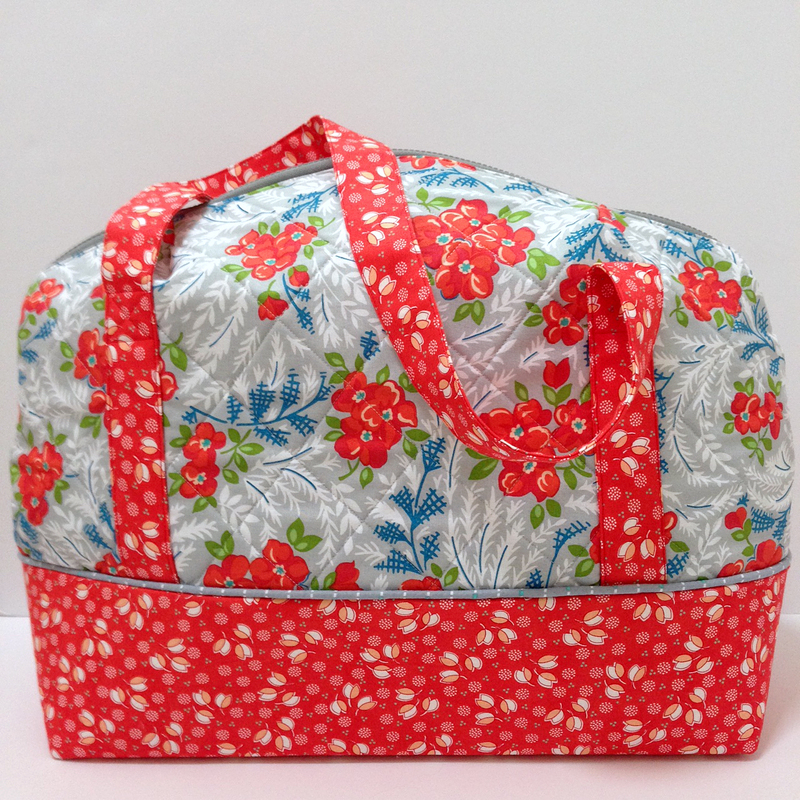 Melanie is back to share how she added piping to her Aeroplane Bag! You can find her original post here! Hello! Now it is time to add piping to your Aeroplane Bag. I recently got a piping foot for my sewing machine so now I want to add piping to everything! You can make your own piping or buy it already made. 1. Gather your piping (made or store bought). You will need two pieces of piping about 1 inch longer than the length of your bag. 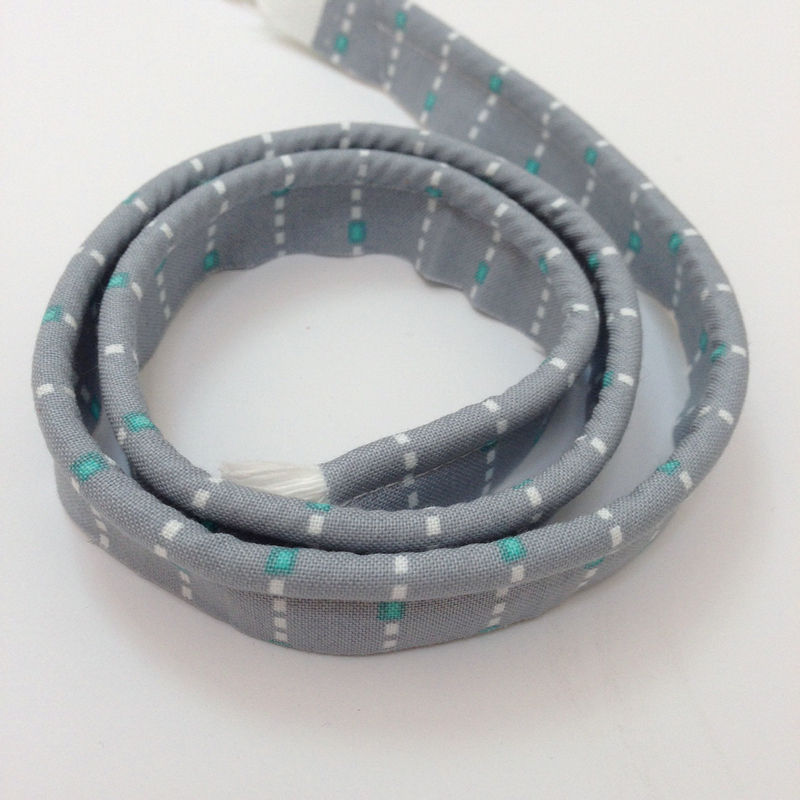 If interested: I cut my fabric strips 1.5" to make my piping. 2. Place your piping on your Exterior Panel A with raw edges of piping lining up with raw edge of panel. 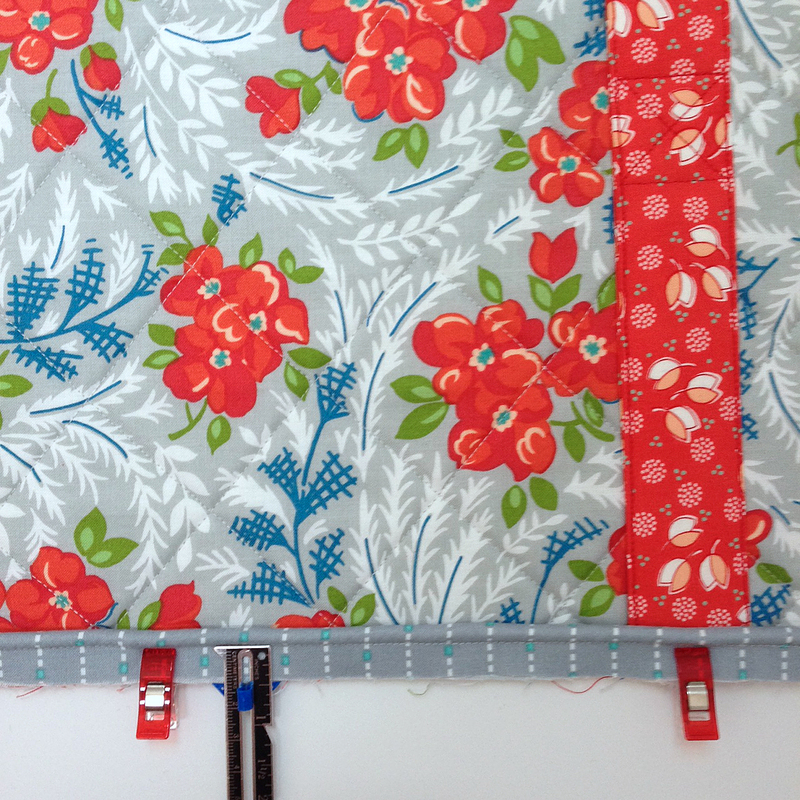 Be sure to measure that there is 1/2" between raw edge and sewing line for piping. 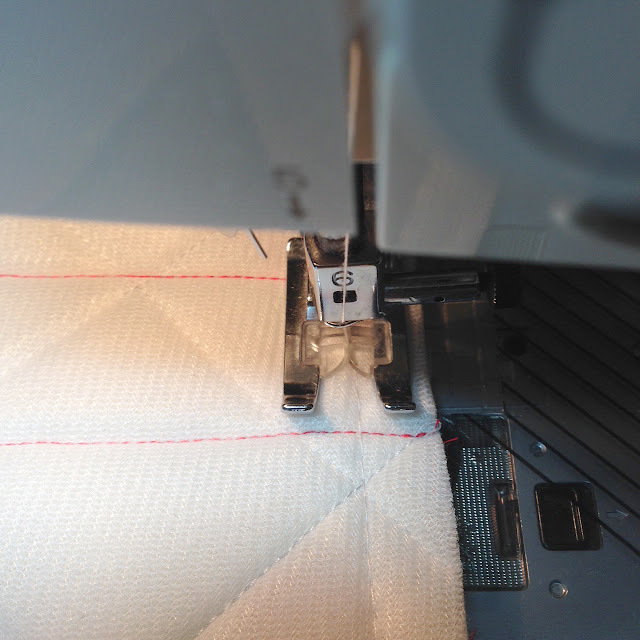 If your piping is larger or smaller- just line it up so that the sewing line is 1/2" from raw edge. See below. 3. Use lots of Wonder clips or pins to hold the fabric together. With fabric right side up- begin to sew a basting stitch close to piping stitching line (about one thread width toward raw edge of fabric). I used the longest stitch length on my sewing machine to create my basting stitch. 4. Now place Exterior panel B right side up and Exterior panel A right side down (this is the opposite of the picture in step 11 of pattern). You will want the backside of Exterior panel A "up" because you are going to use your basting stitching line from the previous step to adhere the panels together. 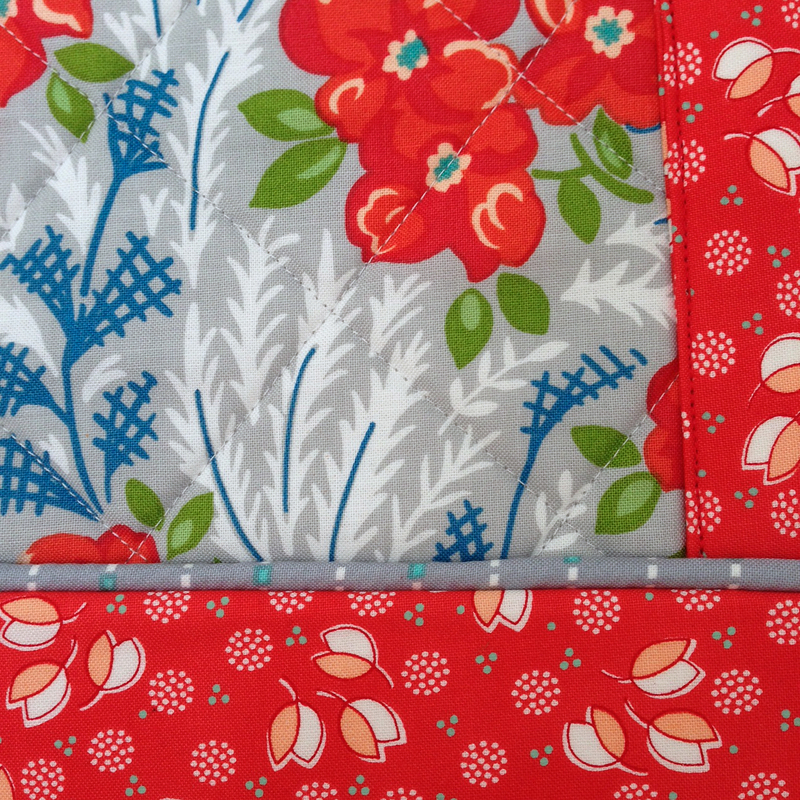 By using your basting stitch as a guide- your piping will look pretty and you won't accidentally sew over it. Now begin to sew 1/2" seam allowance that is also 1 stitch width away from the raw edge (or toward piping). This will hide your basting stitch in the seam allowance and it will not be seen. Hint: Use a sewing foot that is clear so you can easily see the basting stitch. Sorry it's hard to see in the picture as I used white thread. 5. Now open up your panel and be amazed at your lovely piping! Watch out...once you start making piping - you will want to use it in every project! Piping always looks so nice and neat on a project. Beautiful job.